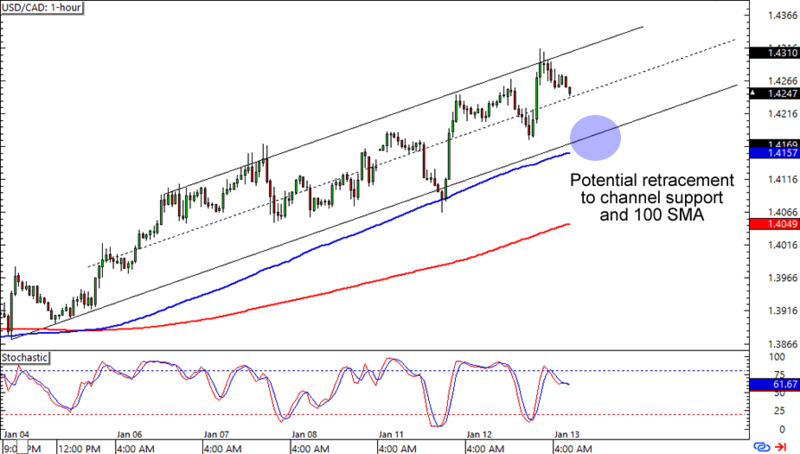 First up for today is an easy peasy trend trade on USD/CAD. After hitting resistance at the 1.4300 handle, the pair looks like it might be headed to the 1.4200 major psychological zone. If you’re one of them Loonie bears, then you might want to look for possible entry levels around the area. After all, it lines up nicely with not only the channel support, but also a potential 100 SMA retest on the 1-hour time frame. A long trade around the trend line is a good idea especially if you place your stops below the SMAs. If you’re one of them Loonie fans though, then you could also wait for a break below the support levels and see if the move gets momentum. Here’s one more for the dollar bulls and bears! USD/JPY has been lollygagging just below the 118.00 handle and right now it looks like it’s headed for another retest of the psychological level. 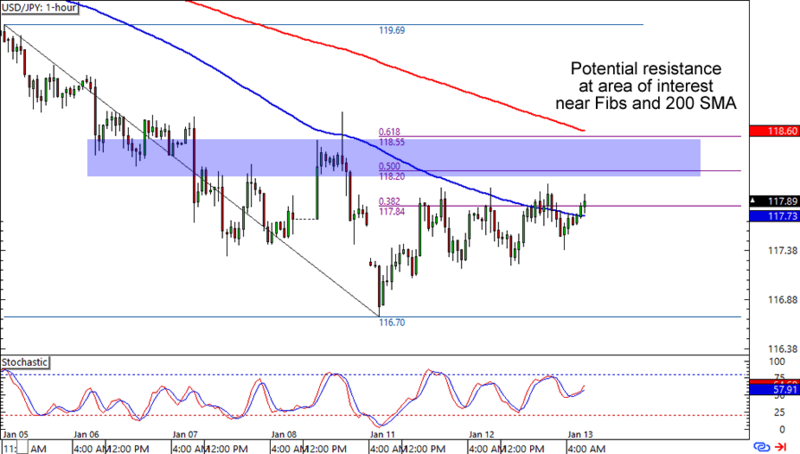 The bears will have reason to defend the 118.00 – 118.50 area since it’s right smack at the Fib levels and 200 SMA on the 1-hour chart. A break above the level though, could signal a short-term bottom for the pair and attract some dollar bulls. Which way do you think the Greenback would go? Breakout alert! Much like our AUD/JPY bearish pennant setup yesterday, GBP/JPY is showing a triangle breakout in the making. 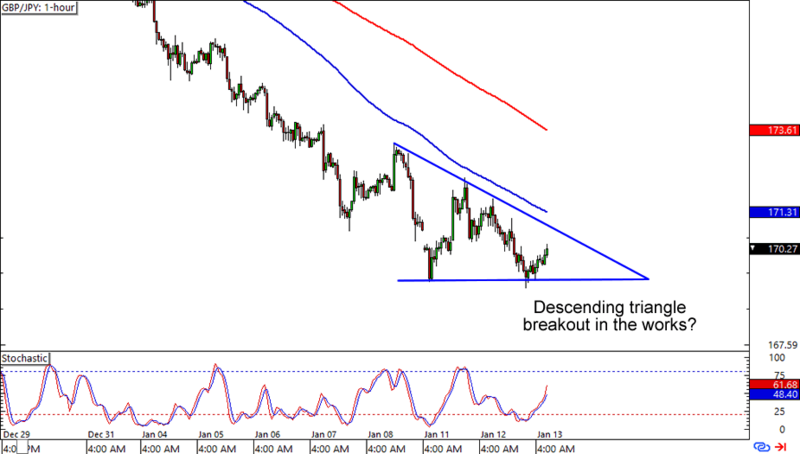 This time around, a descending triangle is making itself known on the pair’s 1-hour chart. If you’ve read the School of Pipsology, then you’ll know that a descending triangle doesn’t always guarantee a downside breakout. A short trade around the 100 SMA and falling trend line could get you decent pips if you think that the pound is in for more losses against the yen. Of course, you could also wait for an upside break if you believe that the yen is done dominating its counterparts (or the pound) for now.